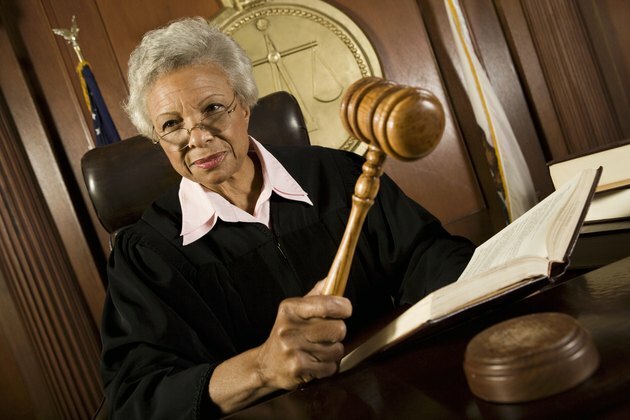 If a bankruptcy case is improperly filed or otherwise rejected by a court, the case is referred to as dismissed. This is in contrast to the discharge that signifies the successful conclusion of a bankruptcy filing. Even if bankruptcy relief is not granted, credit agencies are required to report a filed and dismissed bankruptcy case for 10 years, just as any other bankruptcy would be reported. If a dismissed case is erroneously reported on your credit report, then you may be able to have it removed. Wait 10 years. Bankruptcies automatically drop off credit reports after 10 years, so if you do not want to fight to have your case removed from your credit report, you can wait until it happens automatically. You will still have to suffer the consequences of a damaged credit report and score while the bankruptcy remains. Contact the bankruptcy court responsible for the filing. If the bankruptcy was reported on your account by mistake, ask for a copy of the proceedings from your local court. If they can produce records that you filed for bankruptcy, you will be unable to remove the dismissed case from your report. If they cannot find a match, ask them to issue an order to have the filing removed from your report. Write to the credit reporting agencies. Indicate that the filing was made in error and should not appear on your report. If you obtain a court order to remove the bankruptcy filing, attach it to your letter. The agencies are required by law to report accurate information, so if they receive the court order they must remove it from your report. Rebuild your credit score. Although you may be unable to remove the bankruptcy from your credit report, you can take other actions to improve your score and diminish the effects of the bankruptcy. Responsible use of secured or unsecured credit cards, along with the successful payment of installment loans such as car loans or home mortgages, can help to minimize the effects of the bankruptcy filing on your report.